Available in 77 mm, 125 mm, 150 mm, 200 mm discs and rolls! 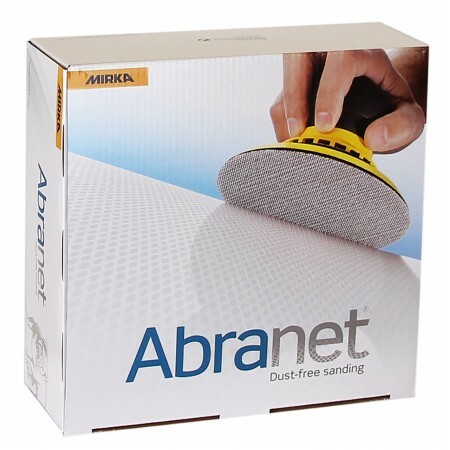 Abranet has been developed for sanding putty, primers, lacquers, composite materials and a large amount of other materials. This is a durable long-lasting sanding material. Each box contains 50 discs. * Packaging may vary from the image shown above.